In response to feedback from frontline workers who participated in Managing Stress Through Mindfulness (MSTM) – Phase 1 (see below), and the need for more effective mental health services and approaches among marginalized groups and their providers across the sector, the Centre sought and secured funding from the Ontario Trillium Foundation for an MSTM – Phase 2 program to train frontline workers to provide mindfulness based therapy (MBT) directly to their clients. By increasing access to MBT training for frontline workers and improving care for primarily underserved community clients, this project aims to build the capacity in five community agencies to provide mental health care to some of Toronto’s most vulnerable groups. The program launched in January, 2015. Three to four front line workers (most of who were trained to deliver stress reduction workshops to their fellow co-workers in MSTM-Phase 1) from each of the five participating agencies are currently attending an MBCT (mindfulness based cognitive therapy) course at the Centre as the first stage of their training. The second stage of training will consist of a 5 day intensive on facilitating mindfulness based therapy workshops. The third stage will be a 24 week (2 hours weekly) practicum where trainers will co-facilitate and be mentored by Centre facilitators to run these workshops for their clients. 42 front-line social service workers from 18 agencies across Toronto were trained in mindfulness-based strategies for reducing stress from March-June 2013. Once they completed their training, they returned to their respective agencies to share the program with their colleagues by facilitating two half-day workshops and bi-weekly stress reduction groups. Participants received ongoing support and supervision from the Centre until the end of the program in December 2013. 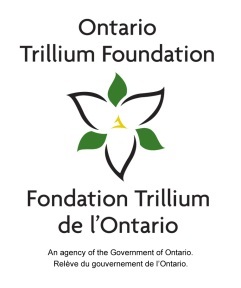 The Managing Stress through Mindfulness program was provided free of charge thanks to the generous support of the Ontario Trillium Foundation and the Ontario HIV Treatment Network. St. Joseph’s Health Centre, in collaboration with other health service providers in the Parkdale and Regent Park areas, proposed and secured funding from the Toronto Local Health Integration Network (LHIN) for a new community-based initiative, leveraging mindfulness-based cognitive therapy (MBCT), a proven form of group psychotherapy. St. Joseph’s will partner in this initiative with several community-based health service providers and allied social services in both the Parkdale and Regent Park neighbourhoods. Partners in Parkdale include PARC (Parkdale Activity Recreation Centre), Reconnect, and the Parkdale Community Health Centre. Partners in Regent Park include the South Riverdale Community Health Centre and the social service agencies, e.g., CRC, Dixon Hall, etc., with offices at 40 Oaks. St. Joseph is also partnering with the Centre for Mindfulness Studies (The Centre), a charitable not-for profit whose core mission is to provide professional development training and clinical treatment in mindfulness-based therapies for social service agencies and their client groups. This initiative dovetails with the Mental Health Commission’s recommendations: it increases mental health services by moving to group-based approaches; it locates the services in the community; and it strengthens a collaborative approach to solving mental health problems. Educational services on mindfulness-based approaches for front line staff in participating agencies. As of March 2015, the Centre has delivered 11 MBCT workshops in Parkdale serving 110 clients and is scheduling the delivery of more MBCT workshops in Regent Park. The educational workshops and courses are currently being organized for the 2 locations. St Joseph’s MBCT (mindfulness based cognitive therapy) Collaboration program is a partnership between the Centre for Mindfulness Studies’ Social Program and St. Joseph’s Health Centre. Both organizations have a shared goal to provide quality, effective mental health services to the most vulnerable and under-serviced populations in Toronto. The program strives to further strengthen this partnership, and looks to foster a more seamless integration between hospital and community mental health services. In the Toronto central area, St. Joseph’s ranks 2nd in having the greatest number of mental health inpatients with the lowest income brackets. Data shows that low income patients are more likely to be admitted to hospitals for mental health reasons than higher income patients. The Centre for Mindfulness Studies (CMS) is located in Parkdale where a large proportion of this population of St Joseph’s patient/clients live. 3) The encouragement of coalitions in the non-government sector to build shared approaches to complex issues. In the first phase of this project, a pilot program was completed where outpatients of St. Joseph’s received Mindfulness-Based Cognitive Therapy, either at the hospital or at CMS’s facility. The usual course offered at the Centre was modified to best meet the specific needs of the outpatients. Through this program, CMS also placed some of the St. Joseph out-patients in each of the regular nine-week MBCT courses offered at the CMS facility through the Fourth Box Bursary Program. Vulnerable individuals living with a mental illness are often mistrustful of institutions and fear the stigma associated with attending such a facility. This program offers both a non-institutional, community alternative for receiving mental health care at CMS while alleviating the resource strain faced by St. Joseph’s, which currently has a long waiting list of patients seeking mindfulness-based programs. Mental healthcare can then be delivered in the community, out of hospital departments. The second phase of this project is currently underway, servicing approximately 60 outpatients with funding from Fourth Box Charitable Foundation and Bell Let’s Talk Community Fund. Parallel MBCT programs are now being offered over a period of twelve months; St Joseph’s and CMS are running two courses that are nine weeks long. In addition to these courses, the Centre is offering practice support sessions to participants from both locations at its own facility. These sessions are designed to increase the level of course completion, and improve the quality of participants’ mindfulness practice. CMS will integrate the new learnings from this project into the curriculum for professional-development/accredited courses for health care professionals, as well in its social programs that train front-line mental healthcare workers in social service agencies. This is an integrated strategy to allow the information from this project to be spread to a wider population. To learn more about this collaborative program, contact CMS’s Social Program Manager Leysa Cerswell, or St. Joseph’s Outpatient Mental Health contact Jennifer Gruber. Research and initiatives like this are not possible without the generous support of corporate and individual donors. Please donate today! Not by Bread Alone was a 10-month program offered to PARC members thanks to support from the Robert Kerr Foundation. Beginning May 2013, the program consisted of weekly two-hour drop-in sessions. The sessions were based on the principles and experiential exercises from mindfulness-based interventions but uniquely tailored to the needs of participants. A customized curriculum was developed using recommendations from an advisory team specially assembled for this program and input from a focus group of PARC staff and members. The goal of the program was to help participants improve their capacity to manage and reduce the debilitating effects of poverty, mental health and substance abuse disorders. The Centre for Mindfulness Studies, Housing Services Corporation and Unison Health & Community Services partnered to develop a free MBCT program for seniors. The program is ran at Unison’s Lawrence Heights location thanks to support from The New Horizons for Seniors Program from Human Resources and Skills Development Canada. To help seniors cope with anxiety, depression and other chronic health conditions that are exacerbated by social isolation, poverty, fear for physical safety, and other stressors of aging. To encourage socially engaged seniors to reach out and help those who are more isolated. To educate seniors about mindfulness to enhance their coping skills and quality of life. To give seniors an opportunity to meet and engage with other seniors in their community. 20 seniors enrolled in the first of two MBCT courses which began in October 2012. The course ran for eight weeks and consisted of stress-relieving exercises, gentle yoga and breathing practices, and instruction from course facilitators Dr. Ellen Buchman and Ronit Jinich. As part of the Social Program’s mandate, we gather insights from within each community we work so that we can align our program with their unique needs. Members of the Seniors’ Advisory Committee contributed to shaping their mindfulness program’s design and implementation and helped to spread the word about the program to throughout their respective communities.